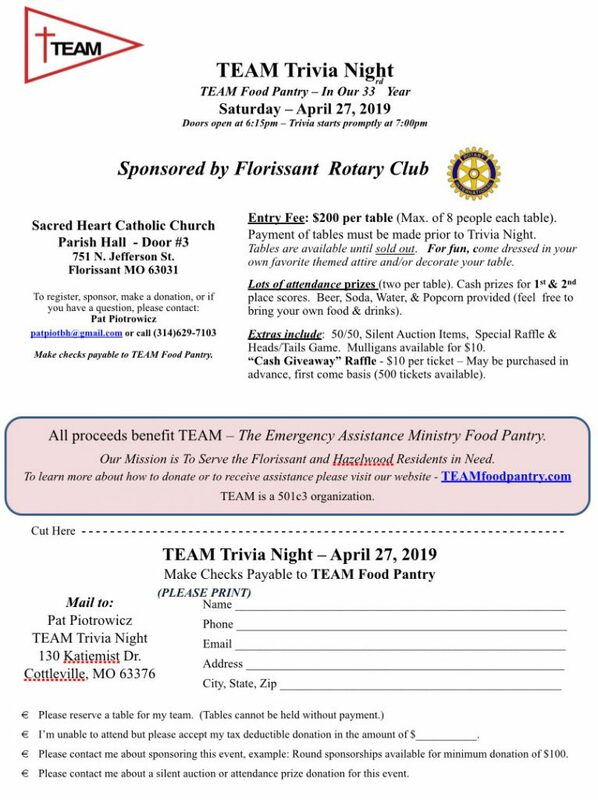 TEAM Food Pantry is located in Florissant, Missouri. 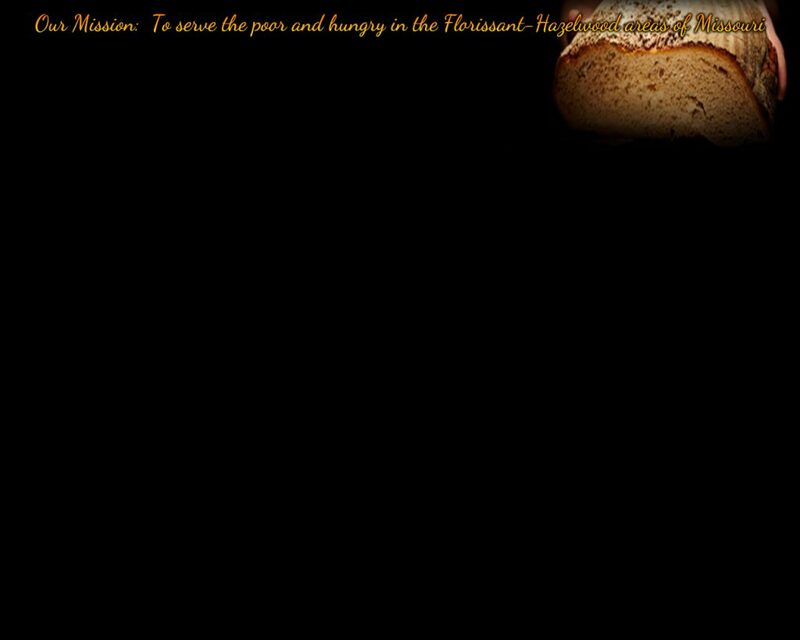 The mission of TEAM (The Emergency Assistance Ministry) is to serve the residents in need from Hazelwood and Florissant and also give out USDA commodities to St. Louis County residents. 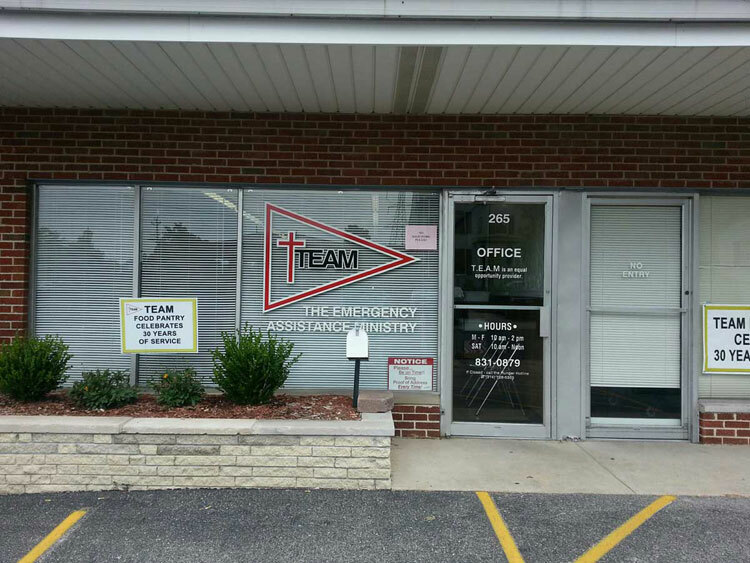 TEAM is a volunteer organization providing supplemental food and basic household items to needy families in our communities on a once-a-month basis. We are based in Florissant, Missouri, and are sponsored by 36 churches in the Florissant-Hazelwood areas. TEAM is an Equal Opportunity Provider. Please join us all day on March 12 for a great meal! Bring in THIS FLIER or mention TEAM when ordering.